Flying to Chicago and shooting for Steve Harvey was a once in a lifetime trip. Everyone at Steve Harvey was so accommodating and made sure I was super comfortable. The first day my mom and I arrived in Chicago we spent walking all around the City visiting various museums, aquariums, landmarks, and buildings. The next morning I took a cab to the studio and started getting prepared for the Show. All the producers at Steve Harvey were extremely nice and helpful in getting all ready. I even had a chance to hangout with Destorm Powers who was only One Dressing room away from me. Finally it was my turn to head on the actual set of the show and start shooting my segment. Steve Harvey was a blast to perform for. His reaction to the magic effect was priceless and very funny to witness.  Make sure to check this link for your local TV times for the Steve Harvey Show: http://steveharveytv.com/watch/. The show airs this coming Monday, 01/26/2015! Steve Harvey Lines up the Corner… It matches Perfectly! I had the time of my life appearing on Steve Harvey and can’t wait til it airs! Thank you for your support and let me know what you think of the segment when it airs! Whenever I am on TV I always seem to have a HUGE cheesy grin.